Gov. Greg Abbott has threatened to withdraw state and federal funding from Travis County over its sanctuary county policy. Four states, 364 counties and 39 cities across the United States have some sort of sanctuary policy. Travis County Sheriff Sally Hernandez wants her Texas county to be counted among them. If Hernandez has her way, law enforcement officials in Travis county would limit how to respond to federal requests for immigration retainers – but Gov. Greg Abbott is determined not to let that happen. In a highly publicized interview with “Fox & Friends” earlier this week, Abbott vowed to have the sheriff removed if she doesn’t back down. But it’s unclear whether the governor can legally do that – unless of course, there’s some new law passed giving him that power during this legislative session. 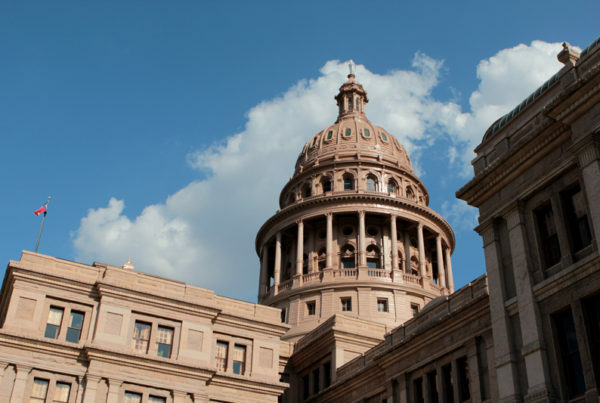 It’s also unclear whether Abbott has the authority to cut off all federal and state funding to any self-proclaimed sanctuary cities or counties within the state. The money that Abbott was originally talking about taking away from Travis County came from a federal criminal justice grant fund. Ann Bowman, professor at the Bush School of Government and Public Service says grants are allocated in a number of ways – some that give the recipients more discretion in how money is used and some that are much more precise in how it’s spent. The governor and executive branch do have options to decide how dollars are distributed for certain types of grants, Bowman says, but not all of them. In that case, Bowman says the executive branch does play a role in who gets grant money. Abbott also said Thursday that he is asking other state agencies what money he can legally withhold from Travis County. But at the state level that’s a different story, Bowman says. It would involve looking very carefully at the state constitution, although states do have much more power over local government than the federal government does over the state. Bowman says that the decision as to how state funds are allocated is up to the legislature, not individual state officials like Abbott. “I think the reaction to this by the legislature will be to dig in their heels and say ‘No, wait a minute, we want to be involved in anything like this,’” she says. If Abbott were to try and withhold funds from a local jurisdiction, Bowman says it’s likely a lawsuit would follow.